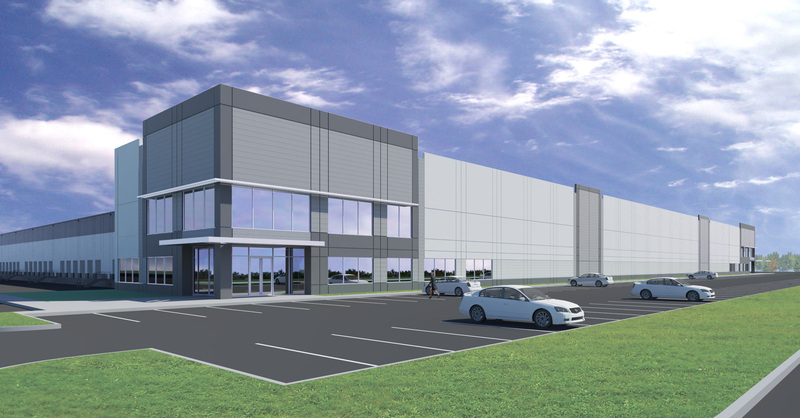 Dallas-based Crow Holdings Industrial announced last week that it broke ground on Victory Commerce Center, a spec industrial project in the southeast Houston area. The project is a 349,050-square-foot Class A, cross-dock, tilt-wall distribution building, according to a press release. It’s at 2851 E. Pasadena Blvd. in Deer Park, near the Port of Houston. The building is expected to be complete in the first quarter of 2019, per the release. Houston-based Powers Brown Architecture designed it, and Katy-based Rosenberger Construction is the general contractor, a spokesman said. Jon Lindenberger, Walter Menuet and Paul Dominique of Colliers International will market the property, per the release. “We are excited to kick off this project and offer a modern state-of-the-art distribution facility to a wide range of industrial users serving the expanding petrochemical and Port of Houston industries,” CHI Managing Director Cory Driskill said in the release. Driskill leads CHI’s development and investment efforts in Houston, per the release. He was hired a year ago and previously served as vice president of leasing for Indianapolis-based Duke Realty Corp. (NYSE: DRE) in Houston. Prior to that, he worked for Dallas-based Trammell Crow Co. Elsewhere in Houston, CHI also developed Apex Distribution Center in northwest Houston and Stafford Grove Industrial Park in the southwest Houston area. Apex is a 24-acre industrial business park that includes a former Goya Foods Building, which is about 140,000 square feet, plus two newly constructed speculative warehouses spanning another 270,000 square feet. Meanwhile, Stafford Grove — which includes three Class A industrial warehouse buildings totaling 351,960 square feet — was sold earlier this year to an investment platform sponsored by Black Creek Group, a Denver-based real estate investment firm with more than $17 billion of investments. Crow Holdings Industrial also recently bought a former Randalls warehouse and distribution center in northwest Houston. The company plans to expand the property with three additional buildings and target a wide range of tenants in the cold storage and distribution industries.